I spend the majority of my time in Bible study re-learning things I thought I knew, and this is especially the case in the Old Testament. I’ve written before of the story of King David and how I learned that he wasn’t the paragon of virtue I was taught that he was. In the same way, the prophet Elijah isn’t without his flaws. The real point is, if we don’t see these men as flawed, we miss the real point of their stories. In reading Making Sense of the Old Testament by Tremper Longman (what a name! Tremper Longman! ), I stumbled across this bit on the Proverbs and I thought it the best summary of how the book works. We Americans don’t gather around the fire and hear grandpa tell us our story anymore and that makes us feel “free” to create our own. But with that freedom comes ignorance and confusion. We’ve forgotten our True story, and it’s my constant passion to call people to the fire to hear the way things really are. As I was reading through 2 Peter, this verse jumped out and mugged me. Because who knew the Bible read like The Lord of the Rings? And, more specifically, who knew a fisherman could write like this? Mt. Gerizim and Mt. 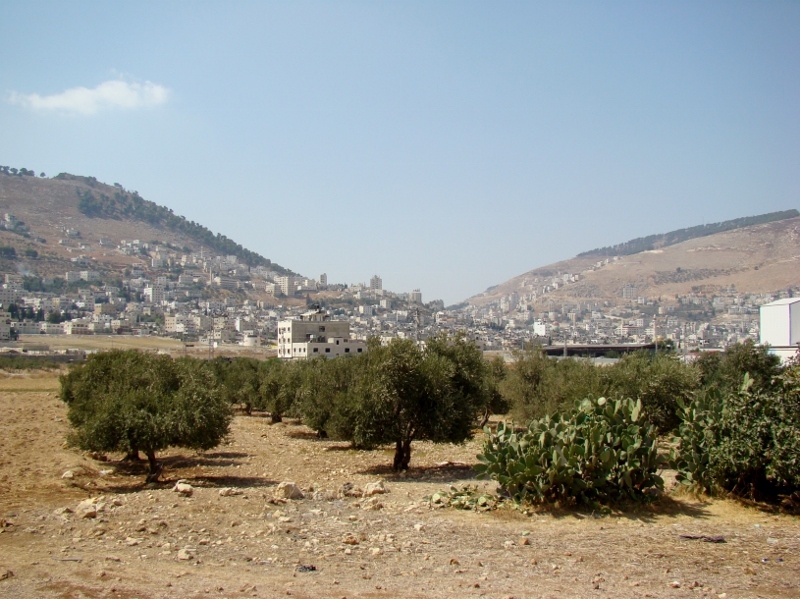 Ebal, the place where Moses preached the book of Deuteronomy (Source). In Deuteronomy God is center-stage...The purpose of the book is to put God on a pedestal to be examined next to every other ancient near-eastern god, and so in Deuteronomy we find some of the most powerful theologies about God and His sovereignty. The books of Samuel tell a disastrous story about two kings of Israel (Saul and David) whose struggles define the trajectory of a nation. I think David is less the hero we think he is and more of a broken man, struggling to find his place in relation to the Sovereignty of God. Something we can all identify with, no doubt. The only way to understand the Bible is in its context. We have to get the proper storyline before we parachute into texts and try to make meaning from them. Abner Chou powerfully gives that context--the entire Biblical storyline--in what is less than a 15-minute read. I've long thought that our goal as Bible readers isn't to check off a Reading Plan list; it's more than that. But for the longest time I didn't know what it was. John MacArthur said once that Scripture isn't an end in itself, only a means to an end--and that end was knowing God. But before we can know God, we must know His Word. Therefore, our goal is to become fluent, biblically fluent. We are to achieve mastery of this great book so that we can come to know God in full, holistic, deep ways. The overall theme of Hebrews is the supremacy of Christ, but it isn't just that. It isn't a showroom where we are to come in and marvel at the glory of Christ as if in a museum, displayed behind bulletproof glass. We are to marvel at His wonderful work of mediation, to draw near to God, to meditate on Christ, to engage our minds in spiritual growth. In a word, we are to use the gifts Christ has given us and experience God because of the work He accomplished.